I can not open either list of N3 or N2. can U help? We are currently working on it. I apologize for the inconvenience. 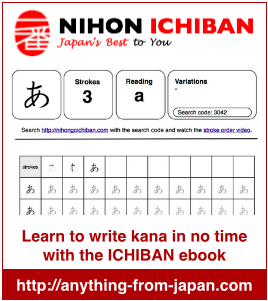 It is a very long work but please keep on checking the updates on Nihon Ichiban. I am not able to use this site in China.I am from India and have studied Japanese but Now I am in China and I want to appear for JLPT.Can you please help.! Are you still working on it? Cause it would be immensely helpful to get the kanji for N3 and N2.